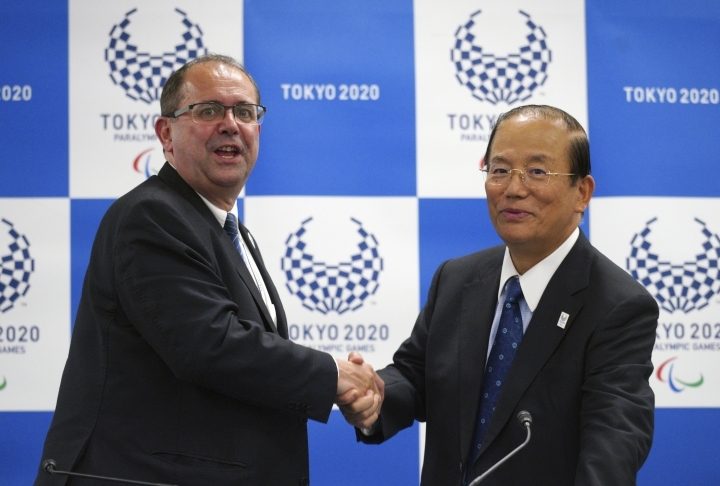 TOKYO — The 2020 Tokyo Paralympics promise to be the best. They're being promoted just like the Olympics, planning is ahead of recent games in Rio de Janeiro and London, and the athletes village will offer easy access for anyone with disabilities. But International Paralympic Committee officials said Friday there's one big worry: there are too few hotel rooms for wheelchair users. 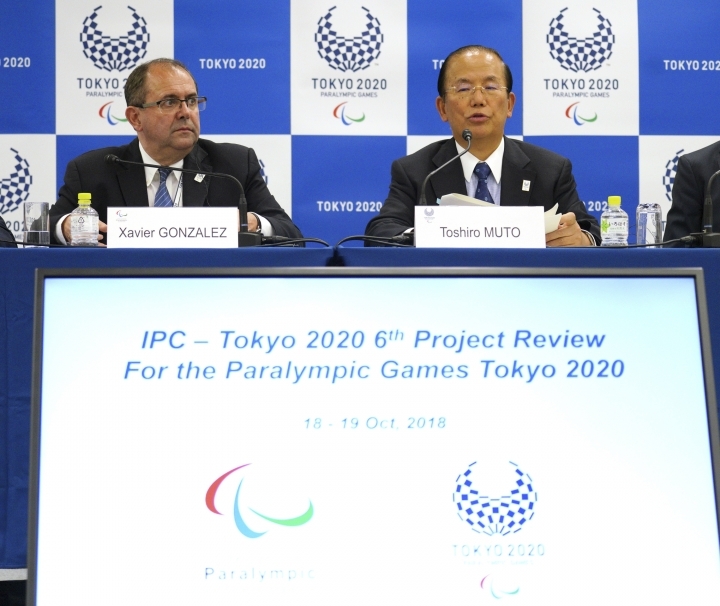 "The IPC remains concerned there will be an insufficient number of accessible rooms ready for the games — and I emphasize ready for the games," Xavier Gonzalez, CEO of the IPC, said after meetings in Tokyo. Athletes will be taken care of. But hundreds of others may not be. This includes sponsors, some national Paralympic officials, guests and the media. Britain's Channel 4, for instance, covers the Paralympics extensively, and dozens of its staff members have impairments and many use wheelchairs. So do many reporters who specialize in the Paralympics. "There will be a high demand for accessible hotel rooms, which are just not there at the moment," Tim Hollingsworth, CEO of the British Paralympic Association, said in an email to The Associated Press. IPC officials say they need 400-500 hotel rooms that are "accessible" to wheelchair users. Tokyo is famous for small apartments, tiny hotel rooms, and tight spaces. The Tokyo organizing committee says the city has about 700 "accessible rooms," though reports suggest the number could be a low as 30. Many rooms may be accessible to wheelchairs, but not the bathrooms because of narrow doors and tight quarters. Over and above all of this are fans in wheelchairs who may not find rooms. To complicate matters, the room shortage is beyond the control of the local organizing committee, which basically runs the games. It's squarely in the hands of the local Tokyo city government, and the national government. They both suddenly seem to be moving. "Our games have a purpose also to change the minds of people," Gonzalez said. The Japanese government said this week that, under rules set to be in force on Sept. 1, 2019, hotels with more than 50 rooms must set aside at least 1 percent for wheelchair users. And on Friday, Tokyo Governor Yuriko Koike said the city would amend ordinances to establish "barrier-free" rules for hotels, and require new and refurbished hotels to be "barrier-free." In addition, the national and Tokyo government are offering subsidies for hotels to make modifications. "Progress is taking place," Gonzalez said. "But the reality of the games is that we bring large populations of people with disabilities — and in particular in this case, wheelchair users." Of the 4,400 Paralympic athletes, 1,800 use wheelchairs. There are also cultural obstacles. A room the Japanese term "accessible" would not meet the standard in say, Britain. And so-called "accessible" rooms tend to cost more in Japan. "There is no expectation (in Japan) of independent living for wheelchair users — rather the expectation that anyone with mobility issues will have full-time care support," Hollingsworth said. "This means that hotel rooms that are described as accessible are designed in a way that is not accessible for an independent person — the bathroom, especially." He also said there was a "big reluctance among private hotel owners to make even the smallest changes." He said the attitude was short sighted in a country with an aging population. Of the 160 Paralympic teams, dozens will arrive early to prepare for competition. When the games start, athletes will stay in the new athletes village alongside Tokyo Bay. But beforehand, they're on their own. "It is unlikely we will have a sufficient number of fully accessible rooms for pre-games training camps," Gonzalez said. Hollingsworth said the British team hoped to train in Yokohama and Kawasaki, cities located southwest of Tokyo. "They have world-class sporting facilities," Hollingsworth wrote. "We are really struggling with the lack of hotel and appropriate accessible rooms." Gonzalez lauded Tokyo on other fronts. Its public transportation system is among the best in the world, and many stations have elevators and assistants to help on the platforms. Hollingsworth termed Tokyo's subway system "fantastic." "Getting around as a wheelchair user in Tokyo — as colleagues of mine have done — is very well catered for and should be commended," he said. Michael Peckitt, a Briton who teaches at Osaka University, writes frequently about disabilities. He has a form of cerebral palsy that affects his left side, making it difficult for him to climb stairs without a walking stick. He does not use a wheelchair. He said public transportation access was generally better in Japan than Britain. But he singled out Shibuya station in central Tokyo as a difficult place for people with disabilities. This will be a very busy station during the Olympics and Paralympics. He also noted a cultural difference. He said people with disabilities seemed almost invisible in Japan. "On the one hand, Japan is physically more accessible than Britain," he wrote in an email to the AP. "Yet in Japan, one seems to rarely see disabled people. There seems to be a disconnection between the law — that requires disabled people to have access — and the presence of disabled people in Japanese society."